When the ETSU basketball schedule came out in August, there was one thing that stood out most of anything. The Bucs were forced the start the Socon basketball schedule with three games on the road and two of those were against the preseason #1 (Mercer) and #2 (Samford) ranked teams. Coach Forbes publicly spoke about the brutality of this and so did many ETSU fans but it proved to be not much of a challenge for the senior led Bucs. Not only did ETSU win all three games but they made it look easy. The Bucs won each game by an average of 18.6 points (lets just round to 19) and absolutely dominated Chattanooga, a game which I felt ETSU could have won by 30, but the officiating was called in favor of Chattanooga, as ETSU was called for 11 more fouls than UTC. Despite the fouls, it did not matter, as the Bucs shot 56% and out rebounded the Mocs 42-29. Speaking of winning on the road, last night Coach Forbes tweeted out that ETSU has the 2nd most road wins than any other team in college basketball so far this season. The only team that has more is fellow in state rival Middle Tennessee. Maybe the two should play each other next season? The stellar play of the Bucs has earned them the attention from various polls and computer rankings. At the time of this writing ETSU is ranked #62 in the Kenpom Rankings, #72 in ESPN’s BPI rankings, #91 in the Sagarin Ratings and #104 in the RPI. As for the Mid-Major polls the Bucs rank #16 in the college insider mid-major top 25, #8 in the NBC sports mid-major power rankings and #22 in the Mid-Major Madness top 25. 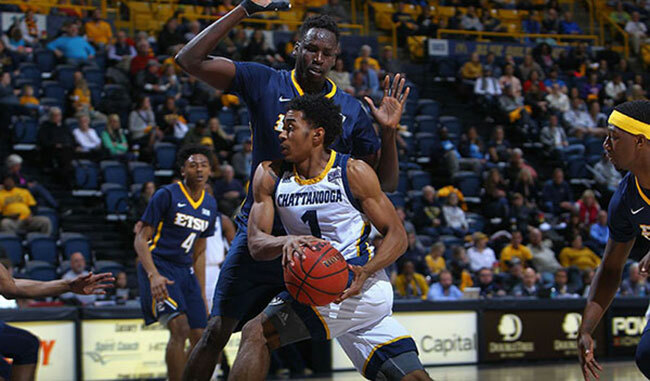 On Thursday ETSU plays perhaps the biggest Socon matchup of the season so far which is a rematch of the Socon final between ETSU and UNCG in Johnson City. ETSU is calling on everyone to come out and fill Freedom Hall in a white out. Both ETSU and UNCG are unbeaten in Socon play so far this year, although ETSU has played one more game than UNCG. Go Bucs! Fill Freedom Hall!! With the signing of Deuce Bello yesterday, Steve Forbes and the rest of the coaching staff have completed the roster for the 2015-2016 season. Here is a quick recap of the players that Steve Forbes and the rest of the coaching staff have signed since April. 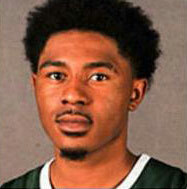 T.J. Cromer is a 6-foot-3, 190-pound shooting guard from Albany, Georgia that averaged 20 points per game last season for Columbia State. He connected on 107 3-pointers and shot 46 percent from the three-point line. Cromer helped lead his Columbia State team to a 26-7 overall record in 2014-15. He was also named third team JUCO All-America and first team All-Region honors last year. 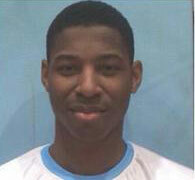 Nigel Holley is a a 6’8″, 220lbs PF from Wilmington. Holley comes to ETSU from Vincennes University where he averaged 3.7 ppg, 3.3 rpg, Vincennes University is ranked as #1 juco program in country. Coming out of high school Holley averaged 15 points, 10 boards and two blocks per game for New Hanover High School in Wilmington, NC. 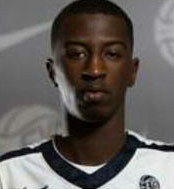 Shemar Johnson is a 6’6, 180lbs SG from Columbus, Miss. He averaged 16.3 ppg & 4.6 rpg, & 1.0 spg at Columbus HS. 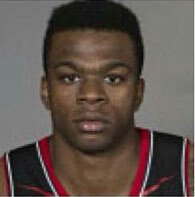 Johnson is a lefty shooting guard with some very long arms that can handle the ball well enough to play point as well. Being very athletic, he played well above the rim catching several lob passes through the backdoor. One of his favorite moves was his quick first step to the basket and then pull-up from about 10 to 12 feet. In addition to ETSU he also had offers from Murray State, Southern Illinois and Tennessee Tech. 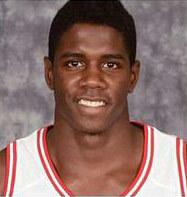 Hanner Mosquera-Perea is a 6’9 225lbs PF from Istmina, Colombia. Perea has spent the last three seasons at Indiana University where he played 20 minutes a game and averaged 6.5 ppg & 4.3 rpg and led the Hoosiers in blocked shots. He was a top 50 player out of high school and might be considered one of the most highly touted recruits to ever play at ETSU. Hanner will have to sit out this season but will be available in 2016-2017. Ge’Lawn Guyn is a 6’2 185lbs PG from Lexington, KY. Guyn has spent the last three seasons at Cincinnati University where he averaged 2.3 ppg, 1.3 rpg and 1.0 apg. He started all 34 games for Cincinnati as a junior and is eligible immediately at ETSU since he has graduated from Cincinnati. He is an experienced, strong guard and known as an impressive defender. 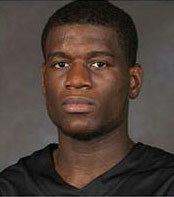 Abednego Lufile is a 6-foot-7, 240-pound forward from Burlington, Canada. 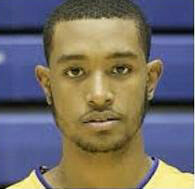 He averaged 12.3 points and 8.6 rebounds at Sheridan Junior College in Wyoming. 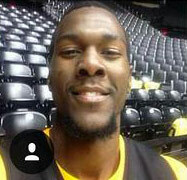 His brother Chadrack played for Forbes at Wichita State. He was rated as the 16th best player in Canada coming out of high school. Tevin Glass is a 6’8 195lbs forward from Norcross, GA. Glass comes to ETSU from Wichita State where he averaged 2.1 points and 1.1 rebounds in limited playing time. He appeared in 19 games. 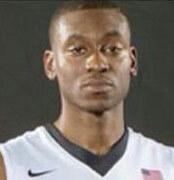 Before Wichita State Glass played for Coach Forbes at Northwest Florida State College, where he averaged 12.0 points and 5.8 rebounds as a sophomore. Glass has to sit out this season but won’t count against the school’s scholarship total this year. He’s reportedly paying his own way until a scholarship becomes available next season. Toriano Stokes is a 6’8 230lbs center from Memphis, Tennessee. He averaged 16 points, 14 rebounds and four blocks a game last season for Memphis Westwood High School. He reportedly had a dunk in every game and had six in one. Stokes was a finalist for the Memphis Commercial Appeal newspaper’s Scholar-Athlete of the Year Award. He was listed as the 12th-best recruit coming out of Memphis. With a 7’1″ wingspan and a 9’4″ standing reach Stokes will immediately add size and athleticism to the Bucs’ front court. Deuce Bello is a 6’4 198lbs SG from Greensboro, NC. Bello starred at Westchester Country Day School in High Point, North Carolina, was a top 50 player out of high school and considered one of the top athletes in his class. He spent two seasons at Baylor University before transferring to University of Missouri where he averaged 1.8 ppg in limited playing time. He is expected to bring a tremendous amount of athleticism to ETSU. The new commits will join Peter Jurkin (red-shirted last season) Petey McClain, Lester Wilson, A.J. Merriweather, Isaac Banks and Desonta Bradford. While the roster for the upcoming season is complete we will continue to closely follow recruiting for the 2016-2017 season. Somewhat breaking news since no official press release has been released but Steve Forbes confirmed on a radio talk show at 3:30PM in Knoxville (KnoxTalkRadio 94.3) that Jason Shay will be one of his assistants. Jason Shay will be joining Brooks Savage as part of the ETSU basketball coaching staff. Jason Shay reunites with Forbes after spending 2 years with Forbes and Savage at Northwest Florida State College. Shay also coached with Forbes at Tennessee. 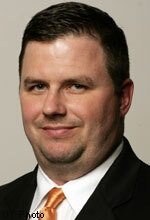 We’ll keep you updated as we hear more but it appears that Jason Shay will be an assistant coach for ETSU. If KnoxTalkRadio archives the audio of the interview I will post it as soon as I get it. EDIT: Below is the interview, the part with Forbes starts around the 21 minute mark. New ETSU coach has energized the Bucs fan base. April 7th, 2015 – The excitement is back for ETSU men’s basketball. When the announcement was made that long time head coach Murry Bartow would not be retained as head coach, it created a buzz across coach who was one of the winningest coaches in the history of the program, had taken the team to multiple postseason appearances and never finished worse than fourth during the Bucs time in the Atlantic Sun. Nationally, people didn’t understand that fans were tired of the same ol’, same ol’. 15-20 wins a year, no real shot at winning an NCAA tournament game or two like it was when Ed DeChellis, Alan LeForce or Les Robinson were around. Even coach Bartow had become complacent on the sidelines. Fans were drinking the sand, accepting a program that had sunk into mediocrity in the A-Sun. 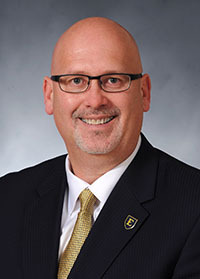 Then something happened, ETSU brought in a new president and athletic director. All this new energy saw the women’s program get a young, energetic coach that was able to mold a talented, but underachieving group into nearly winning the Southern Conference tournament this year over nationally ranked Chattanooga. Then the whispers started happening. Private messages, text messages, and phone conversations everywhere that a change was imminent. Could it be true? Then it happened. 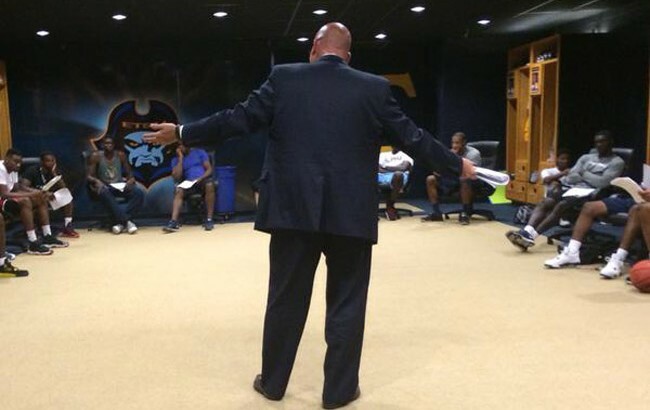 Speculation over the 16th head coach at ETSU was rampant. Bucs fans had set their sights on long time Tennessee assistant coach Steve Forbes, who had made his way out to Wichita State to work with Greg Marshall after a dustup with the NCAA. So many candidates, Mike Morrell, Keith “Mister” Jennings, even long time UTC coach and ETSU alum John Shulman was mentioned to be in the mix along with Forbes. Then ETSU athletic director Dr. Richard Sander made the magic happen, he brought in Steve Forbes, and sent a shock wave throughout college basketball. ETSU fans couldn’t be happier. You can sometimes gauge excitement by the activity on a message board. ETSU’s season has been over for a month now, and fans are already posting about next season. There’s talk that even fans who are upset over the Freedom Hall move are ready to come back just because they believe the Bucs have a shot to return to the Glory Days. I tend to agree. Coach Forbes was an amazing assistant coach at Tennessee, working as Bruce Pearl’s right hand man to the most successful run the Vols had been on since the Ernie and Bernie show. He does come with baggage. The show cause penalty is what it is, but in his time in the juco ranks he led a team to a ton of success, then joined up with Greg Marshall and the Shockers. He’s a ton of different experiences, lots of recruiting ties all over the southeast, and is very engaging with the public. It’s safe to say that Sander & Co. didn’t just a hit a homerun, they hit one that hasn’t landed yet. If it wasn’t for the excitement of football returning on September 3rd against Kennesaw State at Kermit Tipton Stadium with a kickoff at 7pm (That’s a hint to get your tickets and be there), Buccaneer Nation would be ready for basketball 2015-2016. Tough to see my man @BrooksSavage head up the road, but he's a great guy and will do great at ETSU with @ForbesETSUhoops. According to the tweet above it appears Brooks Savage, currently an assistant at UTC, will be heading to ETSU as an assistant under Coach Forbes. While an official press statement hasn’t been released yet this appears to legit as Savage has been rumored to be one of the assistants that Coach Forbes will hire. We’ll keep you updated on any upcoming news related to the coaching staff that Steve Forbes will be brining on. EDIT: Just found another tweet confirming Brooks Savage to be hired as an assistant at ETSU. Welcome to ETSU Coach Savage! Will Wade confirmed Friday that assistant Brooks Savage will be taking an assistant coaching position under Steve Forbes at ETSU. I know it’s been a while since I’ve posted but with a new era of ETSU basketball starting I thought now would be as good as time as ever to welcome coach Steve Forbes to East Tennessee State. I for one am very excited about coach Forbes starting. Three weeks ago when the search began for a new basketball coach I heard Steve Forbes name as one of the possible candidates, after reading up on what he has accomplished in his coaching career I knew this is who I wanted as our coach. Coach Forbes comes to us from Wichita State where he was an assistant under Gregg Marshall. During his time at Wichita State the Shockers went 65-6 and received a #1 seed in the 2014 NCAA tournament. Before coming to Wichita State Forbes was the head coach at Northwest Florida State where in two seasons he went 61-6. Forbes also spent five years at the University of Tennessee as an assistant under Bruce Pearl. During his time there the Vols made 5 NCAA tournament appearances, including three sweet sixteens and their first ever elite 8 appearance. Additionally, Forbes served as an assistant at Texas A&M, Illinois State, Louisiana Tech and Idaho. In case you missed it, below is the full press conference.